Vom Kindergeburtstag bis zum großen Firmenevent, Aloha Kinderschminken ist in Bayern (Großraum München) buchbar und bringt Glanz, Spaß und gute Laune zu jedem Anlass! 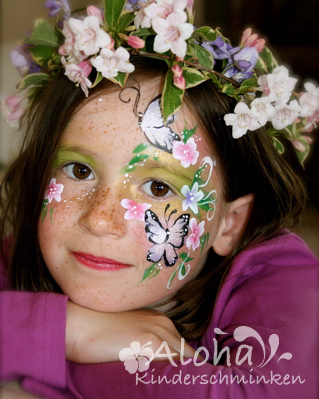 Hello, my name is Sophie and I would be happy to offer you my services as an experienced face painter and glitter tattoo artist. My primary motivation is the satisfaction of my clients and the wonderful smile I love seeing on the face of each child I paint! I am based in Moosach, Bavaria, close to the town of Grafing, 20 km South-East of Munich (München). I can travel to any location within or beyond the greater Munich area. 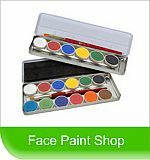 I use only professional water-based face paints and safe polyester glitters. All my supplies possess anti-bacterial and hypoallergenic properties and are specifically designed for application on the delicate skin of a child's face. 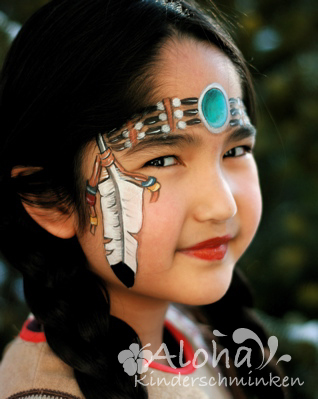 - All face paintings and tattoos are created individually with great attention to detail. - Impecable hygiene and safe, clean and EU-compliant products used. - Available for parties of all sizes, including international events (fluent spoken English, German and French). - Affordable prices and flexible conditions. 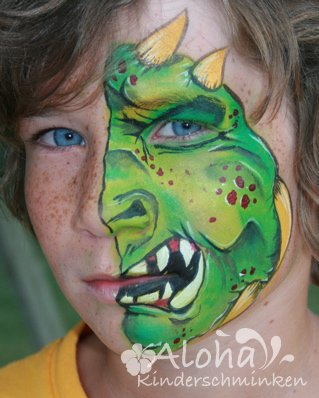 - Reliable and friendly face painter with over 15 years of professional experience within the Walt Disney Company. - All equipment and supplies are included in the price quoted - no hidden fees! Feel free to contact me for a detailed quotation and to check my availability.